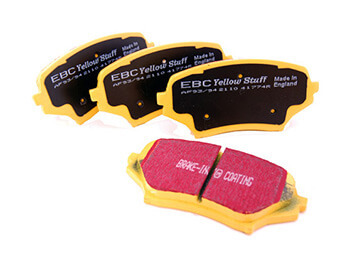 If you are serious about taking your car on track days do not buy these pads. After the equivalent of one track day the pad was stripped to the metal back plate. The brake failed at 110mph at the end of a straight. So that's 80 quid for approx 5hrs track time. Shocking. It coped very badly with high temperatures. The only positive was the braking performance was good for the time they lasted. Take a look at Mintex 1155 or 1166 compounds instead. Provides good, sharp braking. Great product. Only down side is the amount of brake dust they give off which coats the wheels. Great service by MX5part..